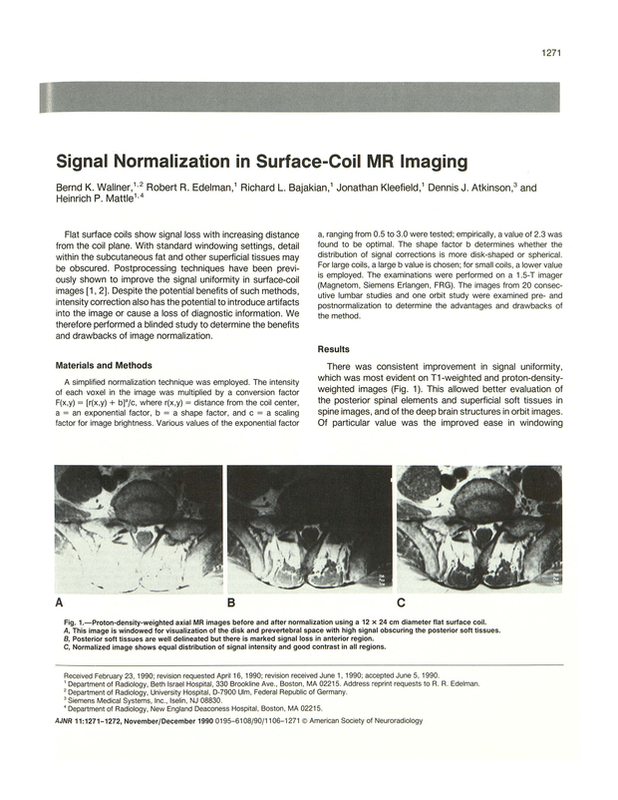 Signal normalization in surface-coil MR imaging. Department of Radiology, Beth Israel Hospital, Boston, MA 02215. You are going to email the following Signal normalization in surface-coil MR imaging.